Often, our support for broader doctrines is challenged by our personal feelings. This month, we turns a spotlight on "loyalty". We cover Kaepernick, a Mom making a radical shift, and a Pastor without a God. It's all to ask: where should our allegiances lie? 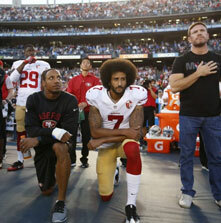 When NFL player Colin Kaepernick refused to stand for the anthem before a game, he sparked a contentious debate about patriotism. What are our responsibilities as citizens? What So Proudly We Hail? The vaccine debate rages on! Some parents are on-board, while others are adamant they’re dangerous. After years of fighting them, this anti-vax mother changed her mind when her 3 kids got sick. 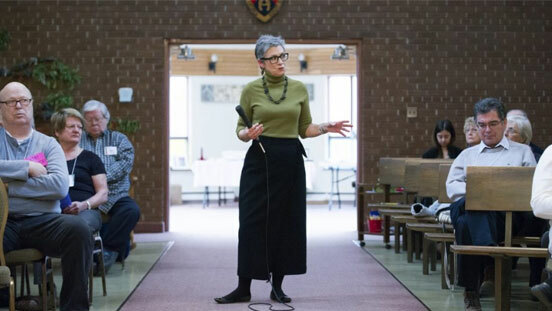 Canadian pastor Gretta Vosper is at risk of being defrocked after declaring herself an atheist. Vosper has ministered a Christian parish for 20 years. Her congregation supports her, but should the Church be obligated to? Can an Atheist be a Pastor? 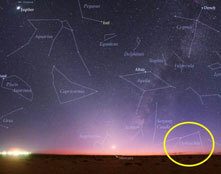 If you’ve ever opened a horoscope and looked to the stars for guidance, chances are you were looking at the wrong ones. It turns out the Babylonians omitted a 13th Zodiac sign, shifting everything. Learn Your New Zodiac Sign! 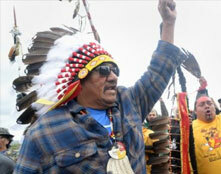 America’s Native people have been fighting to reclaim their land for 400+ years. That fight turned violent again when protesters clashed with a company building an oil pipeline in North Dakota. Blessed Samhain approaches! 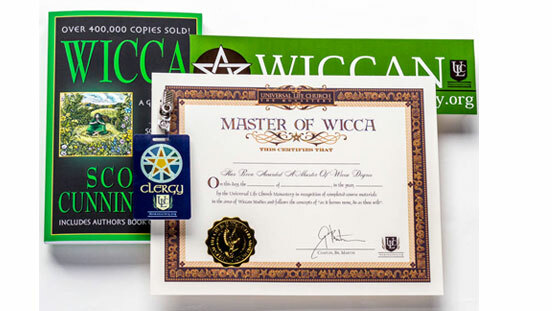 Are you experienced in Wicca? Or simply curious? Either way, this carefully curated collection will help you explore this beautiful faith during its most sacred season. When public people make bad decisions, we tend to gleefully dwell on them - cheering on downfall. But aren't we all guilty of poor judgment? Should celebrities be held to a different standard? Too Late Now to Say Sorry? The ULC has relaunched the Minister Network and given it a fresh new look. Come join the most active online chapel on the internet. Our Facebook friends had a lively discussion about our near-miss when a cottage-sized asteroid brushed by Earth earlier this month. If you knew the end was nigh, what would you do?